Save 90% on These Easy-to-Print Messages from the Heart That Add Beauty and Joy to Your Space! Does your life ever feel like a never-ending marathon? Endless to-do lists, obligations to your spouse, your kids, your career, and your friends, and expectations to do and be more can steal your joy and distract you from who you really are — the Wild and Wise Woman who is already beaming with beauty, courage, passion, and purpose. 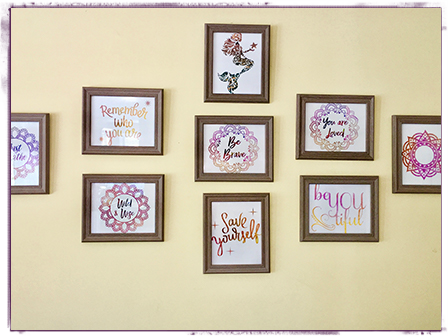 That’s why you’ll love the peaceful colors and inspirational words found on each of these prints. More importantly, these pieces remind you that you don’t have to keep doing it all on your own. You don’t have to strive to be better or do more. You are a complete masterpiece just as you are. And it’s time to slow down, breathe, and enjoy being YOU. 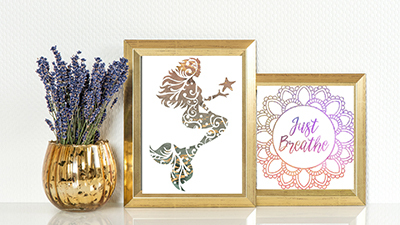 We have poured our hearts into creating these fantastic art prints just for you, our gorgeous soul sister. Each motivational message has been carefully crafted to fill you with joy and inspiration, to remind you of your wholeness, and to lift you up whenever you pass by that special corner in your home or office. Our desire is for you to be bold, embrace all that you are, and just breathe… especially in life’s most crazy and chaotic moments. After all, you’re connected to a whole world of wild and wise women who are right here cheering you on! Print your art on canvas, wood, or any special paper you’d like – the options are truly endless for you with these designs. 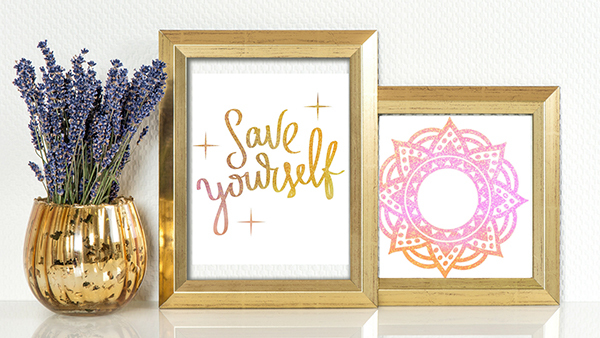 These beautiful posters are easy to print and constant reminders that You Are Loved. To get all 10 of our exclusive Wild and Wise printables, all you have to do is click the order button anywhere on this page, complete the order form, and you’ll go to a thank you page with your art, ready to be downloaded and printed. Simply open the zip file. Then print each image from your home or office computer – or take them to a professional printer for an even sharper look! Size: You’ll receive high-quality printable files for 8X10 art prints. *Please Note: This is a digital file download only. No physical print will be mailed! You are free to print as many prints as you’d like for your home, office, or as gifts; however, these are not to be used for commercial purposes or resold in any way. You can break apart these printables to display them any way you’d like. Mix and match inspirational words with a mandala, a symbol of our wholeness and connection to the universe, for a relaxing place to meditate. Create a captivating focal wall with all 10 prints in your living room or home office to remind you to boldly embrace exactly who you are. There are endless combinations to give you the variety and inspiration you need every single day! Download All 10 Art Prints Today… and Save 90%! Normally, similar art prints like these sell for $5-$10 EACH online. However, for a limited time, you can get instant access to all 10 of these exclusive Wild and Wise prints designed specifically for you… for just $5 (That’s less than your favorite fancy coffee drink!). Click below to download your 10 beautiful prints instantly. We look forward to sharing these special gifts and seeing them on your walls! No thanks, take me to the home page!